You can also download the entire Henry VI, Part 2 translation as a PDF! The KING, SALISBURY, and WARWICK enter to visit the CARDINAL, who is in bed. How fares my lord? Speak, Beaufort, tothy sovereign. How is my lord? Speak to your king, Beaufort. If thou be'st death, I'll give thee England's treasure,Enough to purchase such another island,So thou wilt let me live, and feel no pain. If you were death, I'd give you England's treasure (which would be enough to buy another similar island), just so you will let me live without any pain. Ah, what a sign it is of evil life,Where death's approach is seen so terrible! Ah, what does this say about your evil life, that death appears so terribly to you! Beaufort, it is your king who is speaking to you. Bring me unto my trial when you will. Died he not in his bed? Where should he die? Can I make men live, whether they will or no? O, torture me no more! I will confess. Alive again? Then show me where he is: I'll give a thousand pound to look upon him. He hath no eyes, the dust hath blinded them. Comb down his hair; look, look! It stands upright, Like lime-twigs set to catch my winged soul. Give me some drink; and bid the apothecary Bring the strong poison that I bought of him. Bring me to your trial when you want. Didn't Gloucester die in his bed? Where else should he die? 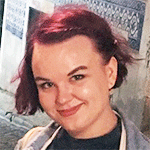 Can I make men live, whether they want or not? Oh, don't torture me! I will confess. Is he alive again? Then show me where he is! I'll give a thousand pounds just to look at him. He doesn't have eyes, the dust has made him blind. Comb his hair and look, look! It stands upright, like twigs smeared with birdlime that are ready to catch my soul as it takes flight. Give me something to drink, and tell the apothecary to bring the strong poison that I bought from him. O thou eternal Mover of the heavens. Look with a gentle eye upon this wretch! O, beat away the busy meddling fiend That lays strong siege unto this wretch's soul. And from his bosom purge this black despair! Oh, you eternal God of heavens! Look gently on this poor man! Oh, beat back the interfering devil that attacks this man's soul! And wash away this black despair from his heart! See how the pain of death makes him grimace! Don't disturb him; let him die peacefully. Peace to his soul, if God's good pleasure be! Lord cardinal, if thou think'st on heaven's bliss, Hold up thy hand, make signal of thy hope. He dies, and makes no sign. O God, forgive him! Peace to his soul, if God wants him to have peace! Lord cardinal, if you think of heaven's bliss, hold up your hand and give a signal that you hope to be saved. [The CARDINAL dies] He died without giving a sign. Oh, God, forgive him! Such a bad death suggests he has lead a monstrous life. Forbear to judge, for we are sinners all.Close up his eyes and draw the curtain close;And let us all to meditation. Don't judge him. We are all sinners. Close his eyes and draw the curtain tightly, and let us all reflect and pray. Romancikova, Nina. "Henry VI, Part 2 Translation." LitCharts. LitCharts LLC, 19 May 2017. Web. 24 Apr 2019. Romancikova, Nina. "Henry VI, Part 2 Translation." LitCharts LLC, May 19, 2017. 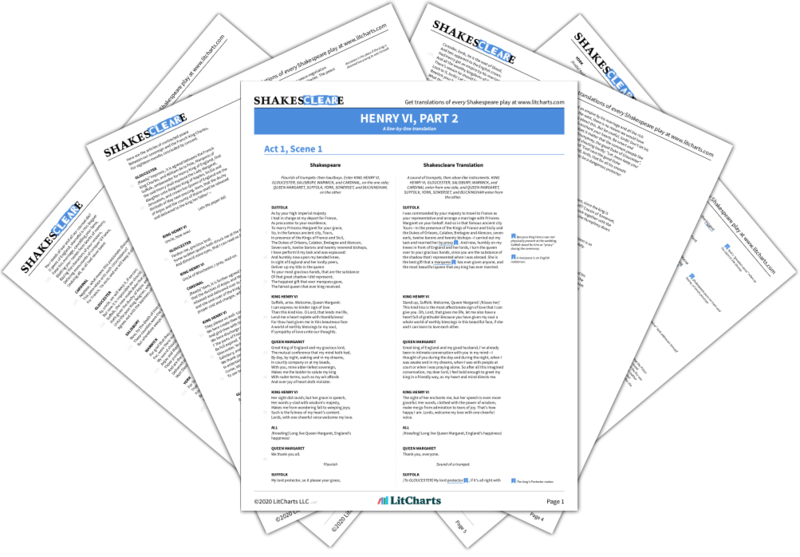 Retrieved April 24, 2019. https://www.litcharts.com/shakescleare/shakespeare-translations/henry-vi-part-2. Join LitCharts A+ and get the entire Henry VI, Part 2 Translation as a printable PDF.